SIGMA Equipment announced today the completion of a 3,500 square foot indoor wash bay. SIGMA will use the space to speed up the equipment intake process and maximize cleaning efficiency. Construction began on the $100,000 project in August 2016. Most equipment will be cleaned using high pressure steam, while control panels will be cleaned with compressed air to remove any dust that may have collected during storage or previous use. A contaminant separation pit was installed to properly dispose of any pollutant residue from the equipment. A Cold Jet Ice Blaster is also a part of the new cleaning addition. 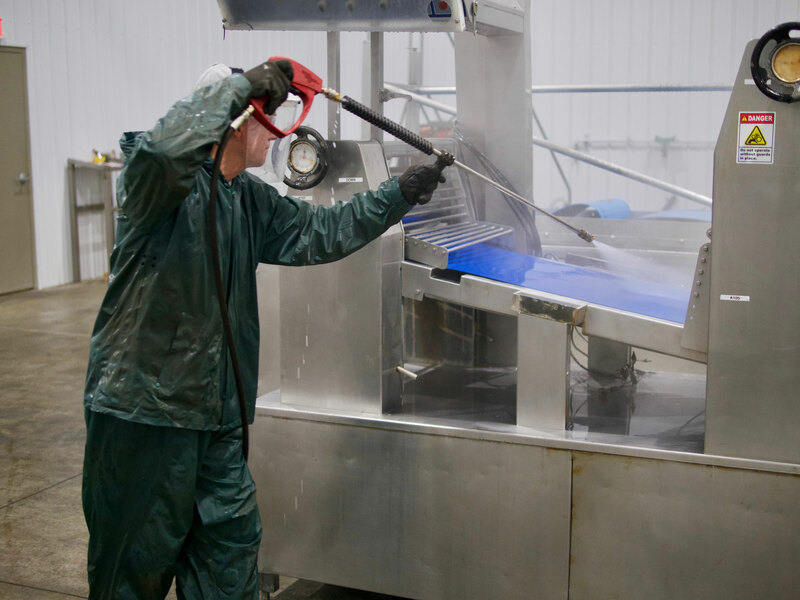 Using compressed CO2, or dry ice, it is an efficient, cost-effective and environmentally responsible way to clean machines without the use of water. The touchless system removes old residue and prepares the equipment for reassembly without causing damage to the equipment. Following the cleaning process, each piece of equipment will rest in a heated dry environment for 3 days. This allows any excess water to dry before the machine is reassembled and tested. The indoor wash bay is one of several projects SIGMA has planned for 2017. Upcoming projects include building additional offices for the growing staff, and expanding the SIGMA Recovery and SIGMA Surplus divisions.